Drowning dangers during summer months become heightened. The hotter weather draws many people outdoors to enjoy time in the water and in the sun. Unfortunately, a number of people, including both small children and adults, drown every year while swimming in pools at other people’s homes, on public property such as in parks and at private clubs and hotels. Many people have misconceptions about drowning. Understanding the misconceptions can help to prevent drownings from happening. There are also a number of common scenarios that happen in which people drown. When a person drowns because of the property owner’s negligence, his or her family may file a wrongful death lawsuit against the owner of the property under a theory of premises liability. 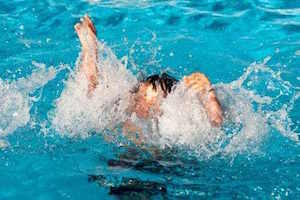 A very common myth that people have about drowning is that it doesn’t happen to a person who is a good swimmer. Adults who have medical conditions, who are drinking alcohol or taking drugs may all drown even if they are good swimmers. Some people also overestimate their ability to swim, and if a person heads for a day at the beach, he or she may be pulled under by rip currents. People also falsely believe that all people who are having trouble in the water flail and yell. In many cases, people simply silently slip under water and drown. Children often do this, as do older people who have a medical emergency such as a seizure or a heart problem while they are swimming. While children are likelier to drown than adults are, more adults drown every year than children do. Each year, one out of every five people who drown are under the age of 14. In California, drowning is the leading cause of death for children under the age of 5. For adults, a common drowning scenario happens when they have been drinking. A majority of children who drown are being watched by adults at the time. This can happen when an adult is talking or texting on his or her phone, looking at his or her laptop or steps away to use the bathroom or to get a drink of water. It is important for an adult to watch children who are swimming at all times. If there is more than one adult present, they should take turns watching. An owner of a swimming pool owes a duty of care to people who are visiting their pool, whether the pool is located at the owner’s private residence, on public property, at a private club or a business. When a visitor drowns, the property owner may be held to be liable for the economic and non-economic losses that the victim’s family incurs because of their loved one’s loss. Property owners owe varying duties of care to people who are on their property, depending on the reason for the person’s presence. If a child is invited to go to a friend’s home and the adults there fail to adequately supervise the child, they may be liable if the child then drowns in their pool. Homeowners may also be liable to uninvited children who drown in their pools if the homeowners failed to fence the pool in to keep children out and the pool shielded from view. They generally will not owe a similar duty of care in the event an adult trespasser drowns in their pool, however. Business owners who have pools on their premises, such as hotels or private clubs, also owe a duty of care to keep their premises reasonably safe. If there is a hazard on the property that the owner knows or should reasonably know about, the owner must either correct the hazard or warn visitors to the business. In the case of a pool in a club or at a hotel, corrective actions might include having a fence around the pool, warning signs or lifeguards on duty. If a business property owner fails to do these things, then the business may be liable for drownings that occur. When lifeguards are on duty but fail to appropriately supervise people who are swimming, both the lifeguards and their employers may be liable if a person drowns because of the inadequate supervision. If your loved one has drowned while he or she was swimming at the property of another person or at a business, the devastation you feel is likely overwhelming. A California personal injury attorney might help your family to hold the owner liable through a wrongful death lawsuit based on theories of premises liability and negligence. California has a two-year statute of limitations for all personal injury, wrongful death and premises liability cases. It is important for you to contact a California injury lawyer for help as soon as possible to schedule a consultation about what happened to your loved one. To speak with an attorney for free personally about any incident involving a water death in California, click here.